It's Online and it's Offline! 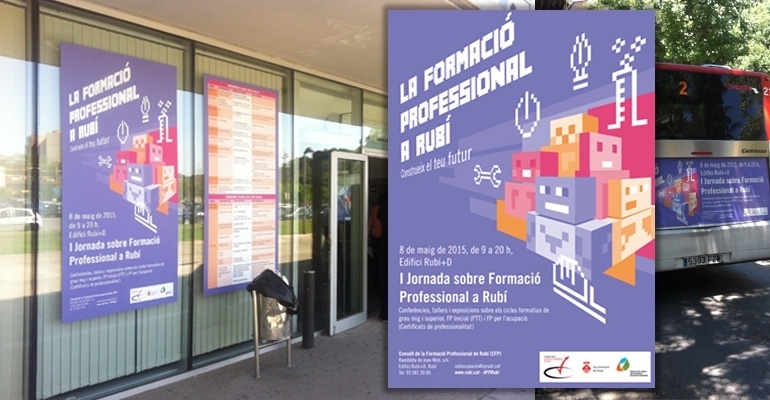 We were commissioned to promote vocational training through an offline and online campaign by the city council of Rubí, a municipality of 75,000 inhabitants hit hard by unemployment during the recent economic crisis. We consider training an important part of the solution to the unemployment problem (especially among the youth), so we set to work motivated to add our small part in promoting professional training and reducing dropout rates. Our proposal created an analogy between the concept of construction blocks and character building through education and professional development. These blocks are small robots drawn in large pixels, each pixel symbolising a new learning experience. These robots are then grouped together creating a multicoloured team, which has parallels with real life project teams in both the classroom and the workplace: different people united and acting in unison. 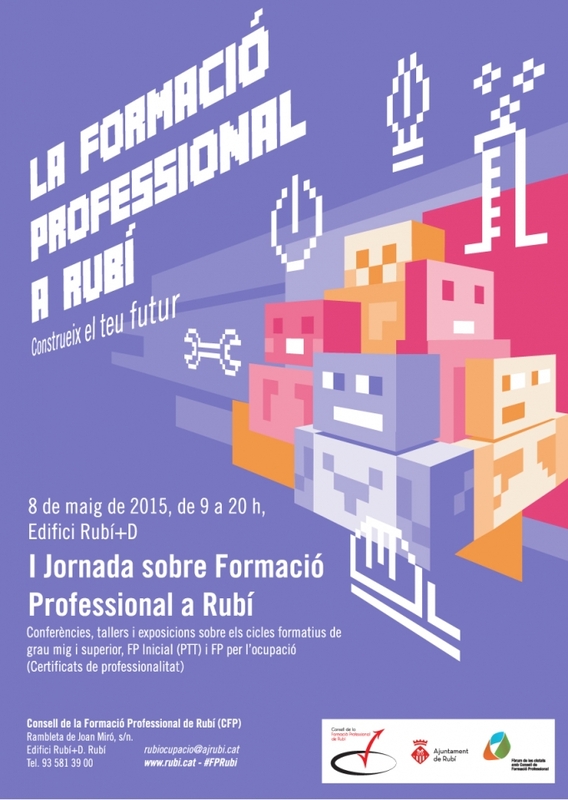 Adapting the campaign to posters, signage, press and outdoor advertising, the team of robots appear to be in motion and are surrounded by tools and instruments to convey the idea of professional and practical vocational training. If you think that we can help you in a similar project, fill in your details and we will get back to you shortly. We will love to learn about what you are working on.